Chris Vermeulen will run a special one-off paint-scheme to pay tribute to British legend Barry Sheene in next weekend’s Australian MotoGP clash in Phillip Island. 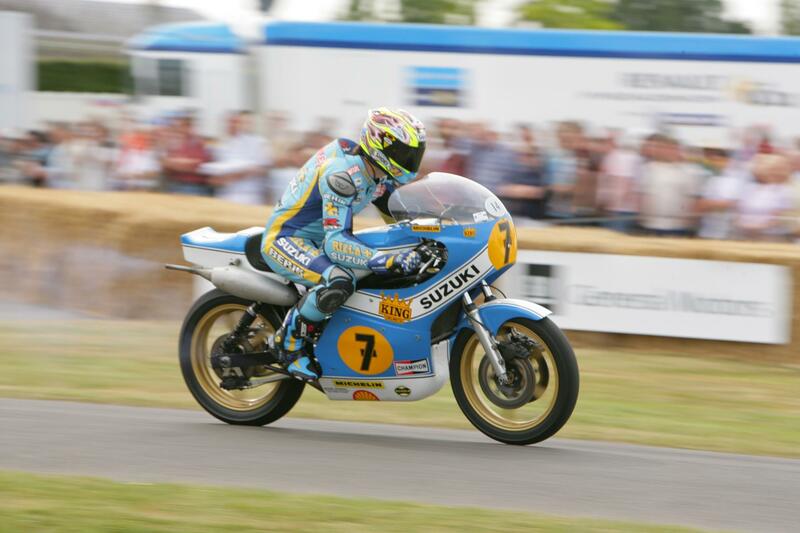 Chris Vermeulen will run his factory GSV-R in the colours that double world 500 champion Barry Sheene ran when he was a Suzuki rider during the 1970s. Vermeulen, who won his first MotoGP race in a rain-soaked French MotoGP in Le Mans earlier this season, will also run a retro set of leathers and a helmet inspired by Sheene, who lost his fight with cancer in 2003. Chris Vermeulen, who finished second in Phillip Island last season, was discovered by Barry Sheene who helped launch his career by landing him a ride with the Sanyo Honda squad in the British Supersport championship. Vermeulen said: “This is a great honour for me to ride the latest generation Suzuki GP bike in the colours inspired by my hero, Barry Sheene. “Barry did a lot to make sure I became a success when I arrived in the UK and I miss him a lot.